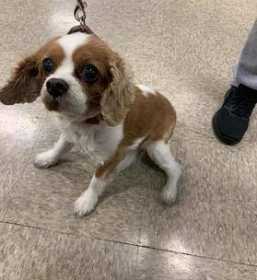 Xena is a 12 year old Blenim (brown/white) Cavalier King Charles Spaniel. She is fully deaf. She has a heart condition that requires medication. She was last seen at 5001 Vacaville DR. She escaped our dogsitters backyard.